"We commend the authorities' policy efforts and strong determination to address macro-economic imbalances and advance their economic stabilisation plan," IMF mission chief Roberto Cardarelli said. The International Monetary Fund's mission team on Monday announced its support for the government's economic programme, a step that will lead to the release of nearly US$11 billion under its financial aid plan. 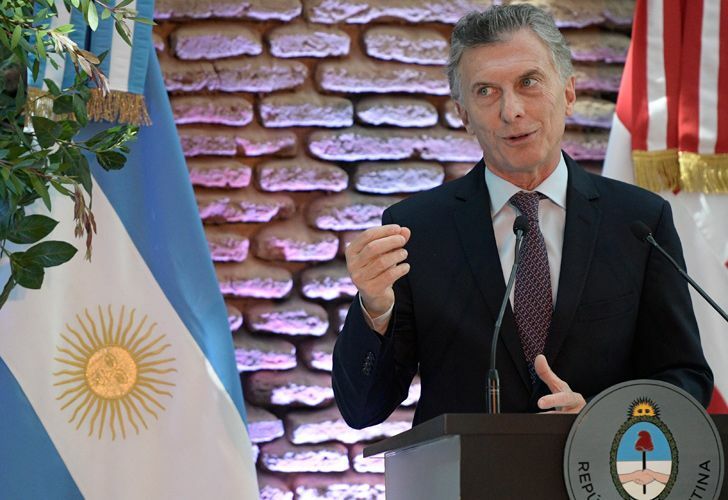 "“IMF staff and the Argentine authorities have reached an agreement on the third review of the economic programme supported by the Stand-By Arrangement. Subject to the approval of the Executive Board, Argentina would have access to about US$10.87 billion," the IMF said in a statement. The IMF board is expected to review the staff recommendation in coming weeks and likely will approve the third review of the beefed-up, three-year loan programme, according to the statement. "We commend the authorities' policy efforts and strong determination to address macro-economic imbalances and advance their economic stabilisation plan," IMF mission chief Roberto Cardarelli said, adding that overnment reforms are bringing down the high budget deficit, one of the key causes of the crisis last year, and met the deficit target. "The high fiscal and external deficits, the two imbalances at the heart of the 2018 financial crisis, are in the midst of a significant correction. Economic activity has been weak but there are good prospects for a gradual recovery." Argentina is currently in recession and the peso lost half its value against the dollar in 2018, after a currency crisis hit the nation. While the IMF hailed the government's efforts to "mitigate the social impact" of the belt-tightening measures, thousands took to the streets in cities around the country last month to protest against the high price for basic foods and goods. Since President Mauricio Macri came to power in 2015, electricity bills have gone up 2.1 percent and gas three percent. The government blamed the increase on the removal of significant subsidies in place under the previous administration. Still, Cardarelli said, "Economic activity has been weak but there are good prospects for a gradual recovery." "Monthly inflation remains high and breaking inflation inertia will be a lengthy process that will require persistence and consistency in the Central Bank’s cautious approach to monetary base targeting," said the IMF, conceding it will take some time to bring it down. The IMF praised the Central Bank's efforts to reverse the direction. Argentina originally secured a $50 billion financing package in June before returning to the IMF to ask for more in October. The IMF granted an extra $6 billion and accelerated disbursements in exchange for tougher conditions. The government statistics bureau said the economy contracted 3.5 percent in the third quarter of 2018, following a 4.0 percent drop in the second quarter, and plunged 7.5 percent in November alone. The IMF estimated Argentina's economy fell by 2.6 percent last year and will drop another 1.6 percent in 2019.